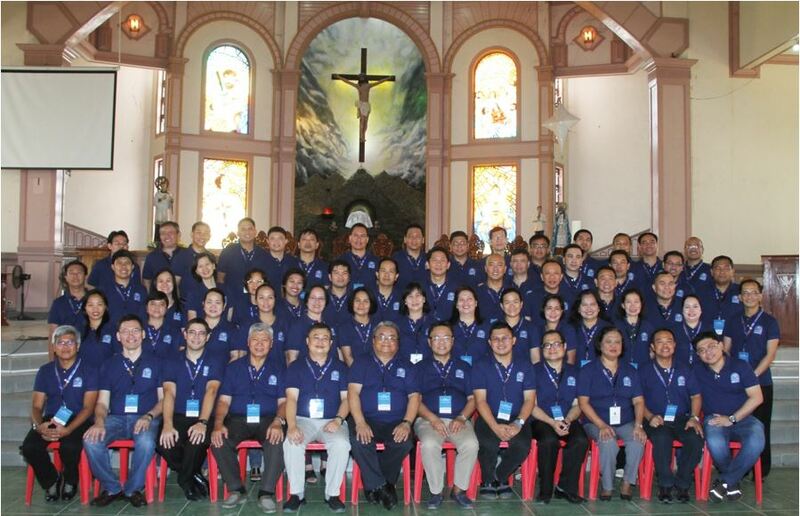 The Philippines School Network (PSN) of the Congregation of the Immaculate Heart of Mary (CICM) held several activities this school year 2017-2018 in aim to strengthen and continue its missionary and educational apostolate. The network is comprised of the following CICM schools: Saint Louis College of San Fernando, La Union; Saint Louis University, Baguio City; Saint Mary’s University, Bayombong; University of Saint Louis, Tuguegarao City; Saint Louis College Cebu, Mandaue City; and Maryhill School of Theology, Quezon City. As coordinating school for CICM-PSN activities for SY 2017-2018 and having hosted the CICM-Philippines School Network General Assembly (PSNGA) on April 23-26, 2017, USL held its own meetings and initiated the organization of the meetings of the different clusters: Mission and Identity, Academics, Administration, Institutional Development and Quality Assurance (IDQA), and Finance. The CICM-PSN Chair, Rev. Fr. Renillo H. Sta. Ana, CICM and concerned USL administrators held a meeting on July 24, 2017 for the following: (1) setting of priorities per area (Mission and Identity, Academics, Administration, IDQA, and Finance) based on the CICM-PSNGA resolutions in 2016 and 2017 and (2) formulation of action programs for the network for SY 2017-2018. The team also met on January 13, 2018 and assessed the status of the CICM-PSN action programs. The Mission and Identity Cluster, which is composed of administrators as with the other clusters, met foremost for the CICM mission advocacies where each constituent school was required to prepare a Project Operation Paper for adaption of all CICM schools. The figure presents the schools with their corresponding priority advocacies. Another Mission and Identity meeting called for the formulation of the common attributes of an ideal CICM student, graduate and employee. The CICM Scholarship Committee formulated the standardized CICM Schools’ Scholarship Management Manual as guide in the implementation of the CICM scholarship in the different schools. The Institutional Development and Quality Assurance Cluster formulated the CICM-PSN vision, mission and objectives. The Academics Cluster conducted two academic summits for the unification of college curricula. Moreover, the Religious Education Committee met to finalize the descriptive titles of all religious education (RE) subjects to be implemented in all college curricula of the CICM schools. The Administration Cluster addressed the following concerns in their meetings: unification of employee code of discipline, unification of student code of discipline, management evaluation tool (based on attributes of the CICM leader), and the PSN leader development program. Before the start of the school year 2017-2018, the Finance Cluster met to discuss issues and concerns on the academic calendar shift. A second meeting of the group was on past valuation, budget allocation, and budget monitoring systems. Already on its second year in school year 2017-2018, the network takes for its motto, “Missio et Excellentia” or mission and excellence.